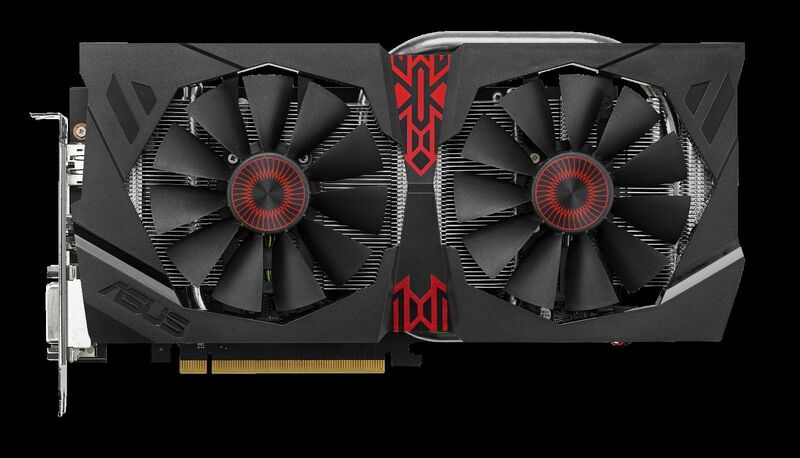 AMD has officially unveiled their next generation “Tonga” graphics processing unit which will be featured inside the Radeon R9 285 series graphics cards. 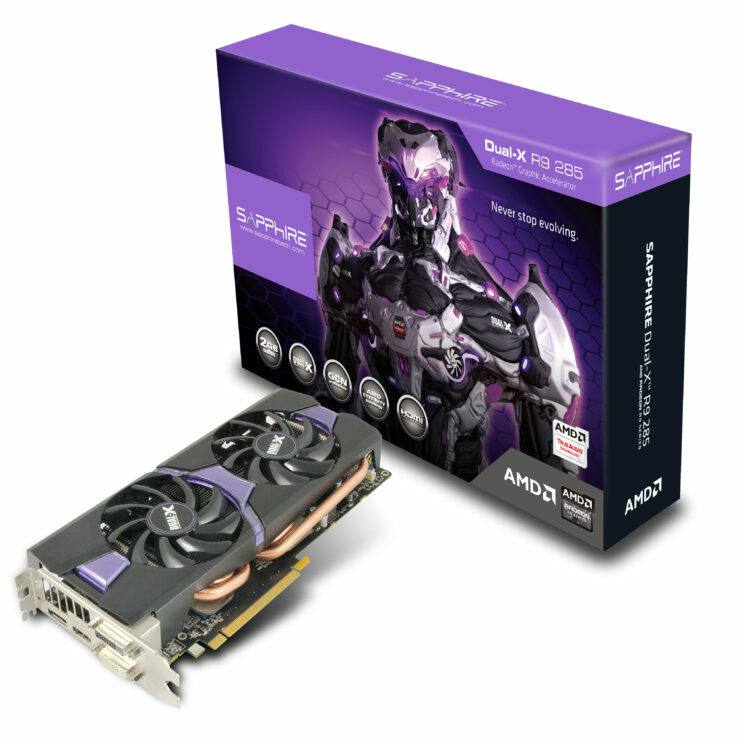 The Tonga graphics chip has been unveiled at AMD’s ongoing “30 Years of Graphics and Gaming Commemoration” event where the chip maker has announced several new technologies including the Radeon R9 285 graphics card. 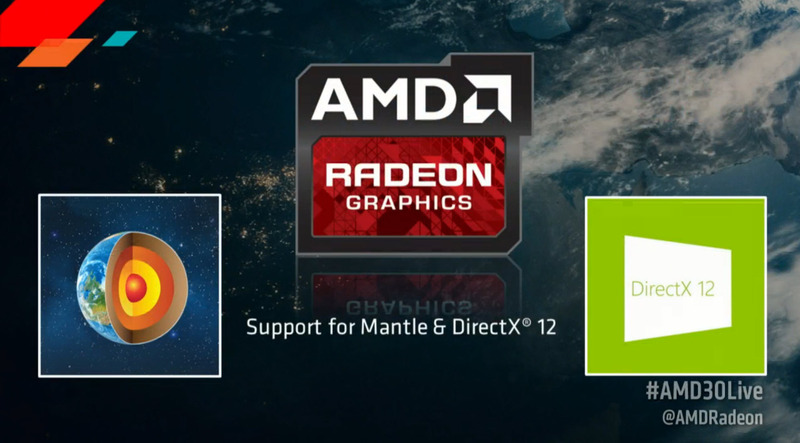 This isn’t the first time we are hearing of Tonga as it has already been launched with the FirePro W7100 GPU for professional market back at SIGGRAPH 2014. 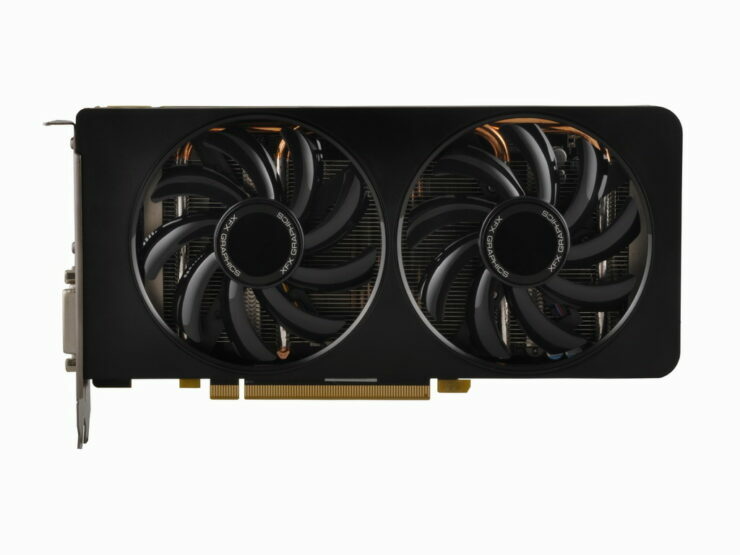 The Tonga GPU is highly efficient and the basic purpose of the new cards is to rival the upcoming Maxwell generation of graphics processing units from NVIDIA. As noted, the first generation Maxwell architecture featured on the GM107 was just the beginning delivering the most low power and highly efficient chip in the industry. NVIDIA is on the verge of introducing their next generation GM204 core which will be integrated on their performance segment cards unveiling in September 2014. 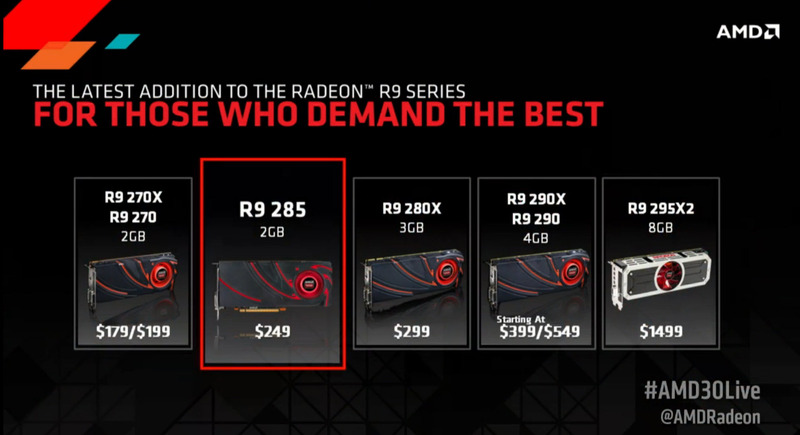 AMD has to answer them sooner or later and now is the best time to introduce new products which will replace the year old rebrands featured in the Radeon R9 and R7 series lineups. 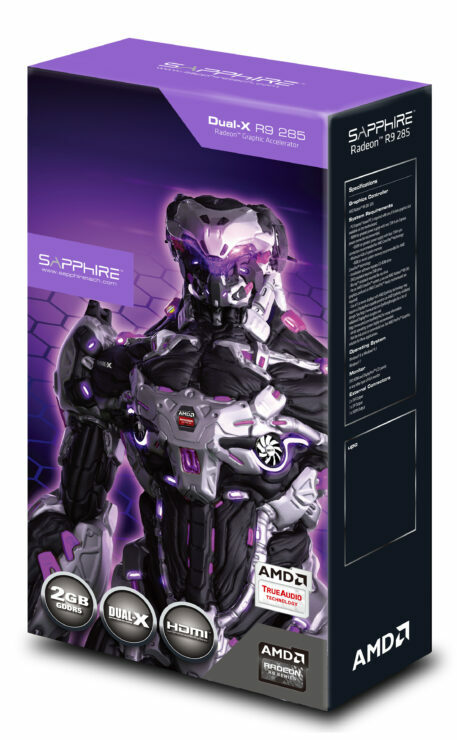 AMD also has a separate event planned in September related to a new high-end chip but we will talk about it later. 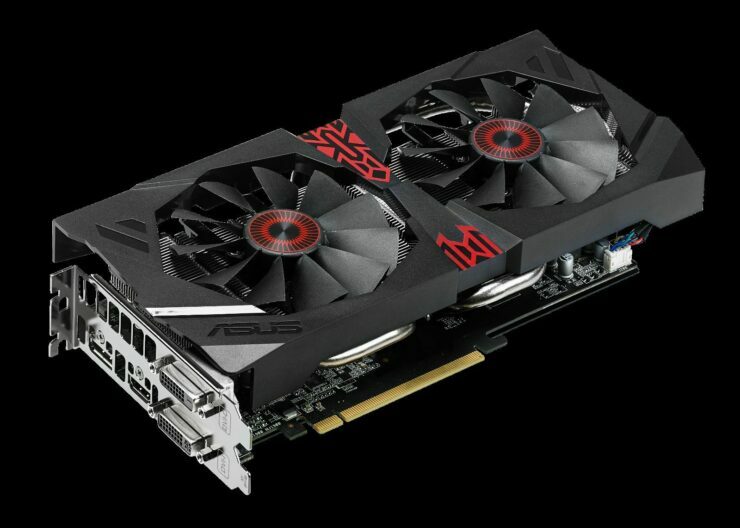 The Radeon R9 285 is built on the Tonga Pro architecture but before going into the architectural details, let’s focus on the details of the card itself. 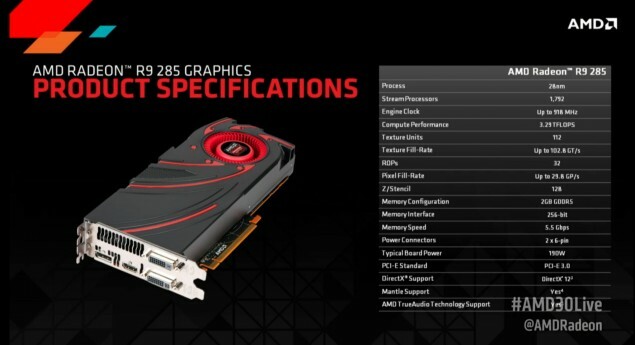 The Radeon R9 285 has 1792 stream processors, 112 TMUs and 32 ROPs. 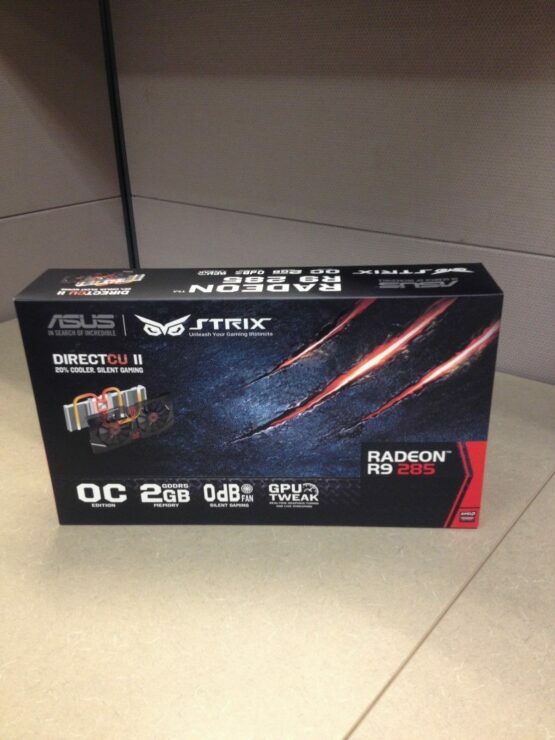 The Radeon R9 285 will ship with 2 GB of GDDR5 memory running across a 256-bit interface. 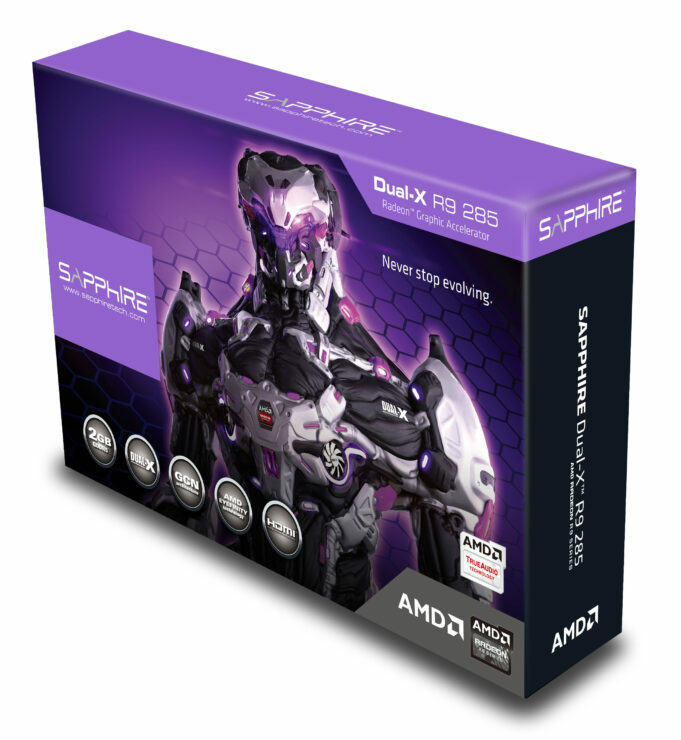 The core clock is maintained at 933 MHz and boost clock at 988 MHz while the memory frequency is maintained at 1375 MHz which results in a 5.5 GHz effective memory clock pumping out 176.2 GB/s bandwidth. 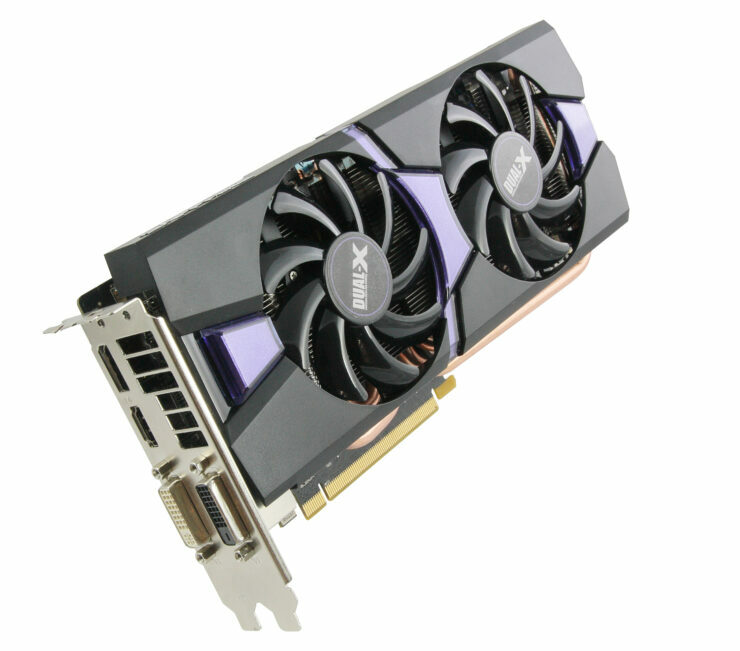 The card additionally comes with XDMA CrossFire technology and TrueAudio DSPs which allows to switch load off the CPU and put audio processing task to the DSPs instead for enhanced manageability and performance. Although the reference variants ship with 2 GB GDDR5 memory, at launch we will see a couple of manufacturers launch 4 GB GDDR5 variants too along with factory overclocked variants which arrive on 2nd September 2014. 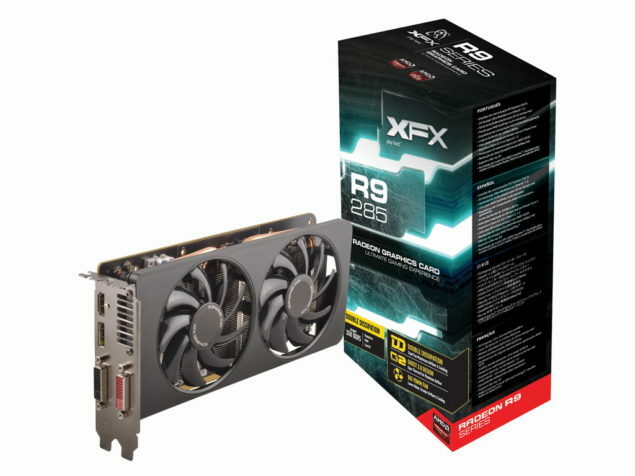 The Radeon R9 285 specifications might be similar to Tahiti but the thing that makes it so diverse is actually the core itself which has been optimized and re-engineered to deliver more performance at lesser wattage. 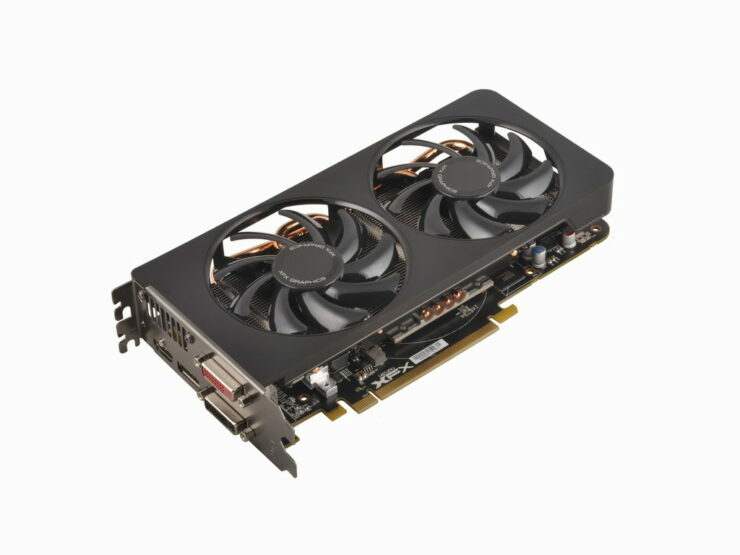 The card requires a two 6-Pin power connectors with a TDP of 190W and deliver performance on par with the Radeon R9 280X graphics card which is amazing. 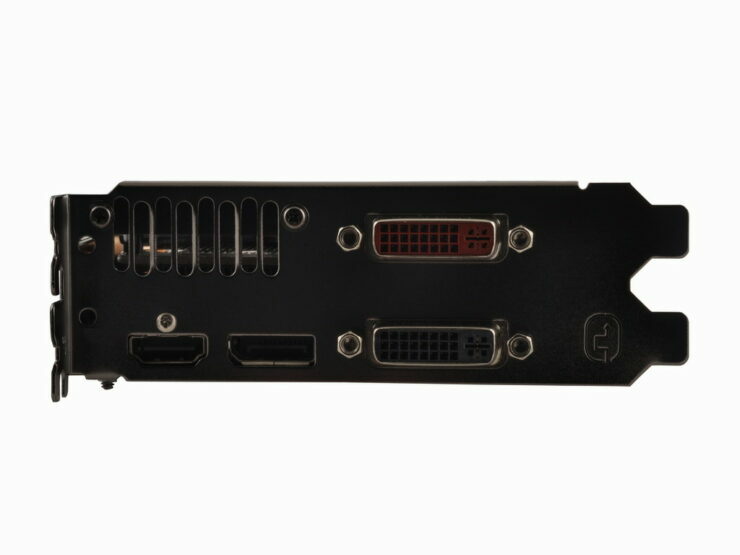 Display outputs include Dual-Link DVI, HDMI and a full length display port. AMD has been silent about the price but from what we can see, the card will come to retail at $249 US followed by its bigger brother, the Radeon R9 285X for $299 US arriving in late September. 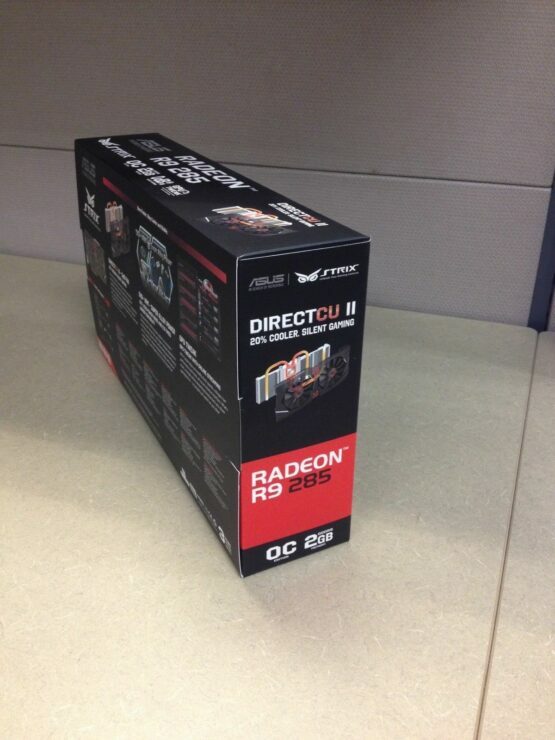 With the Radeon R9 285 details done, let’s move on to the architectural analysis. From the block diagram previously posted, we got to know that the Tonga GPU houses eight ACE (Asynchronous Compute Units) compared to just two on Tahiti and each shader engine has its own geometry processor and a rasterizer unit which houses 8 Compute Units per block. 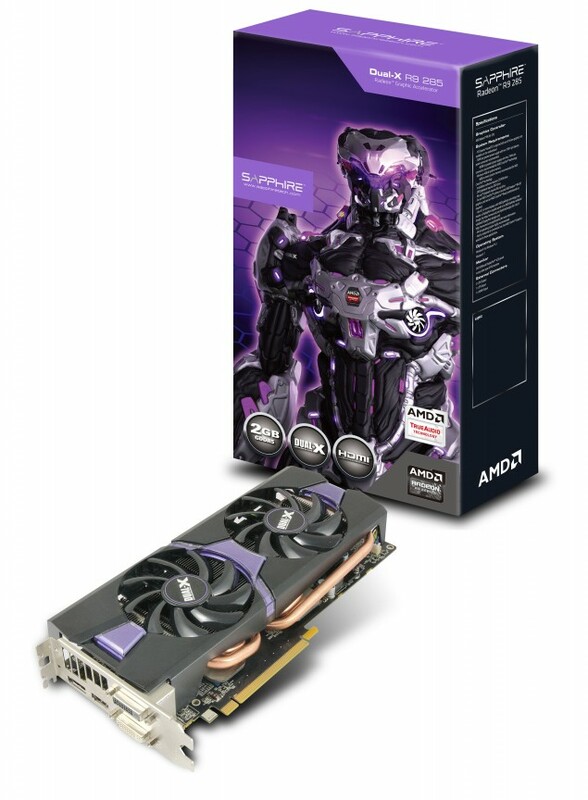 The Tonga Pro variant has two of these CUs disabled resulting in 1792 stream processors. The Multimedia accelerators block has been updated with the XDMA CrossFire engine and addition of TrueAudio DSPs which deliver the TrueAudio tech. Last we can see a large L2 cache, part of which is blacked out which points that this model doesn’t feature the full core but it does have a larger cache compared to Tahiti which may tell why the card is less resilient to bandwidth. 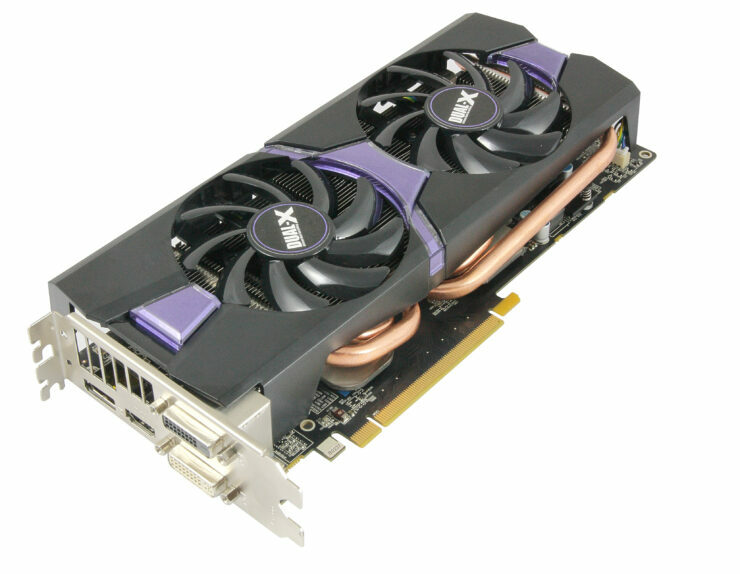 The Radeon R9 285X which is the Tonga XT variant features the full 32 CU die which includes 2048 stream processors, 32 ROPs and 128 TMUs. 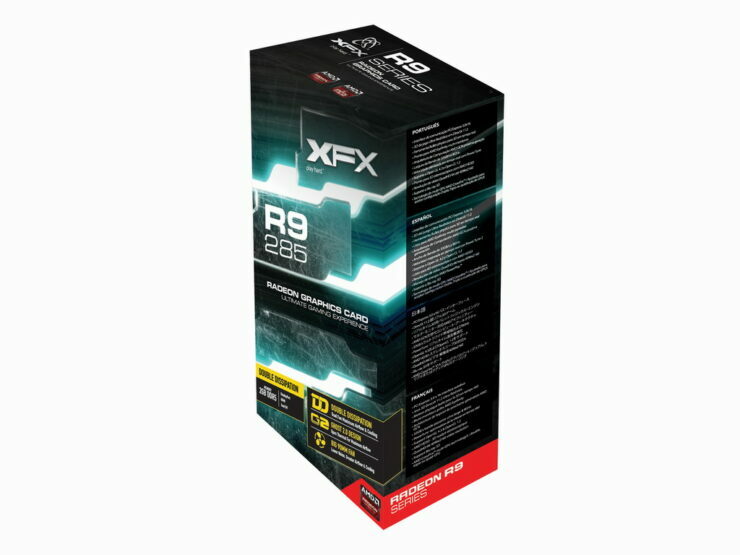 We don’t have any specifics regarding the clock speeds, even the ones reported for the Radeon R9 285 are based off factory overclocked variants so we can’t be so sure but 918 MHz is what’s being said the reference clock for Radeon R9 285 so we can expect something around 933 MHz+ for the Tonga XT variant. What’s weird is that the Radeon R9 285X is allegedly featuring a 384-bit memory bus compared to 256-bit bus on its Pro variant and also includes a higher VRAM updated from 2 GB to 3 GB. 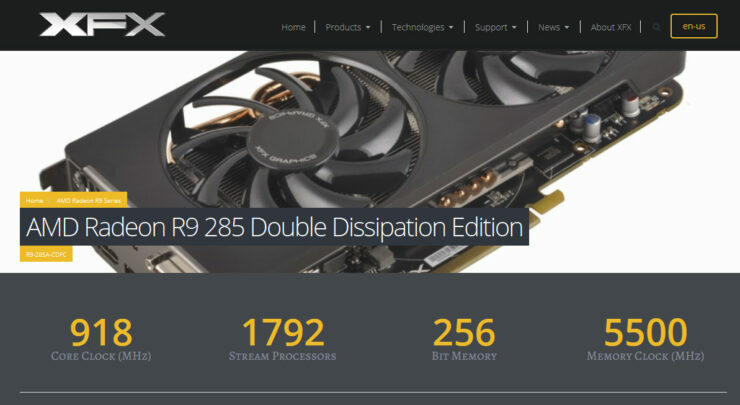 The Radeon R9 285 is already considered a mid-tier board from its looks and design but the Radeon R9 285X could be a decent update over Radeon R9 280X’ Being similar to Tahiti in board design but the updated core with new architecture will leverage the performance and while the Tahiti XT variants have a TDP of 250W, we can see a sub 200W TDP for Tonga XT variants which arrive in September as reported by the source. The pricing for the Radeon R9 285 will fall in between $250 US while the Radeon R9 285X could retail at $300 US since Tahiti XT and Tahiti Pro based cards have already received major price cuts during the last few months. 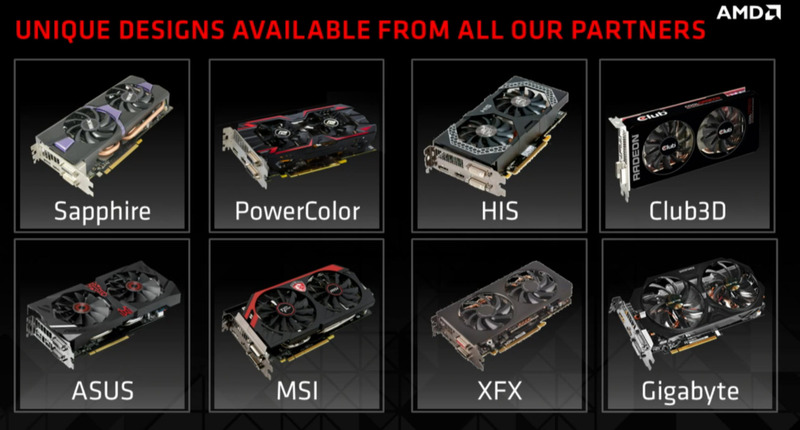 Do note that the specifications for the Tonga Pro and the 32 CU full die for Tonga XT are more or less confirmed. The 3DMark Firestrike Performance numbers for the Radeon R9 285 were also revealed inside the Footnotes displayed at the end of the live event. 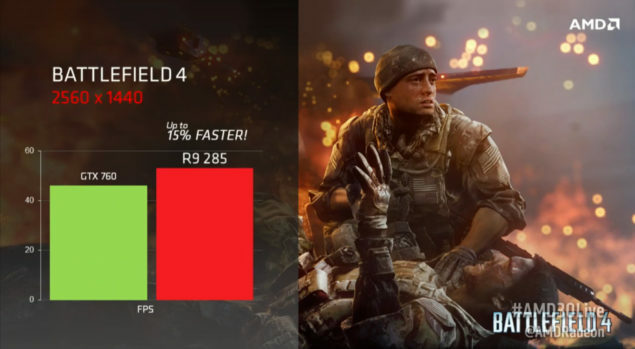 The performance numbers for 3DMark Firestrike for the Radeon R9 285 were noted as 7066 in Performance and 3513 in Extreme compared to 5650 and 2774 marks respectively for the GeForce GTX 660. 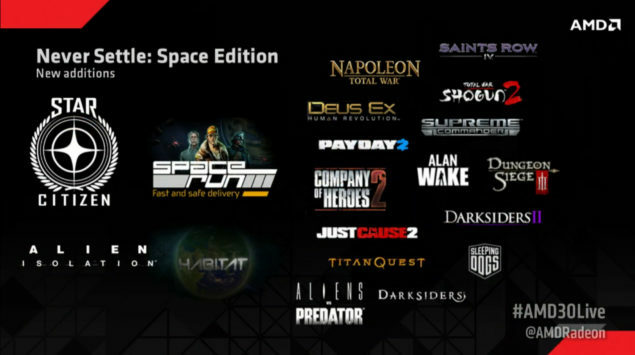 Aside from all the announcements, AMD also introduced their latest Never Settle: Space Edition bundle which includes several AAA titles set in the space and some outside it. The main attractions of the bundle are Star Citizen, Space Run III, Alien Isolation and Habitat.